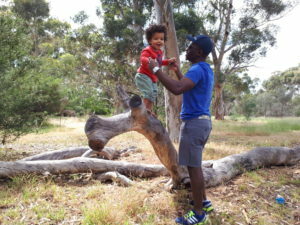 Our wonderful blog post this month has been contributed by Bradley Williams, an Occupational Therapist based in Adelaide. 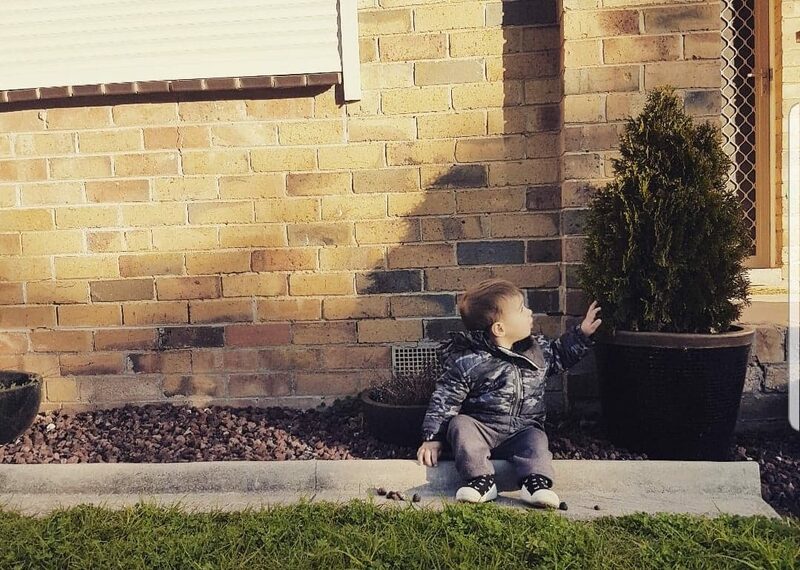 Bradley is fighting the good fight of keeping children playing outside, learning with nature and developing life long skills such as resilience, cooperation and confidence. 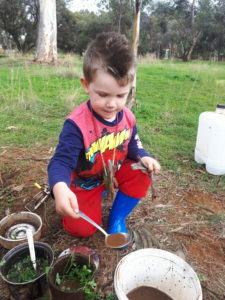 His business, Naturally Gathered, is a great platform for families in South Australia to access quality nature based programs. Here he talks about ways, we as parents, can build our children’s resilience, just by making some small changes to our common everyday language that we use with children. Keen to learn more? Then read on and let us know your thoughts in the comments section. I need to give you a a warning before sharing these phrases with you because you will hear them throughout your day, probably everyday, and a lot! I shared these thoughts with my wife a while back and it has opened up a new world for her and she is mind blown how often these phrases are used. I was the same when I made these discoveries and I imagine it will be no different for you. You will hear things in a completelydifferent way – kind of like when you get a new car and all of a sudden they are everywhere. The three phrases I am about to explore are ones that I guarantee you will have heard many times at any playgroup, birthday party or play date that you have ever been to. They have become part of the language our society use when relating to children and even after I share them with you, you will continue to say them even if you try not to because they are part of a deeply ingrained cultural script. But it is only with awareness that we can create change. So here they are, along with the reason why they aren’t helpful for our children and a suggested alternative. The Alternative: Specific encouragement will achieve the goal of showing the child our support whilst avoiding judgement. In this approach, our positive body language and tone create the atmosphere gives the child that sense of connection but our words reinforce their own ideas and provide feedback (without judgement). A simple way approach these comments is to ‘say what you see’ (a bit like a sports commentator). This reinforces the achievement and develops an sense self-worth. Initially, it feels little unnatural but it is only because it’s new and unfamiliar but I’d encourage you to persist through this. As with everything it gets easier. This phrase is said so often when a child reaches a new milestone or does something that surprises a parent, friend or family member. It’s natural to want to heap this praise on them and boost their morale and self-esteem. But research is starting to tell a different story about phrase like ‘you’re so clever’. Comments like these can actually be decreasing our children’s resilience, long-term self-esteem and likelihood to try new and challenging tasks! Hard to believe right! Carol Dweck’s work has delved into this world and found that person-focussed praise, which focusses on elements of personality (e.g. You’re so clever…smart…strong… fast), can lead to children being less likely to try new challenges and be willing to be wrong or fail. They found that children who were given this type of praise were far more likely to choose an easy task that they knew they could do over something that would challenge them. The different whilst subtle, is significant. 1. Focus on the single moment/event rather than evaluating the child as a whole (e.g. “that was a clever idea“, “you showed such kindness today” or “it looks like you are feeling brave today”). These phrases tell the child a story about a strength that they can draw on tomorrow rather than a fixed idea of who they are (when you felt stupid at school but your Mum told you that you were smart, did it help?). Again it’s with the best intentions that “be careful” spills out of our mouth as parents, but there are better ways for us to help our children become safety aware. When we say ‘be careful’ it’s likely our children have no idea what they are looking for. Imagine that you are walking blindfolded and someone is yelling out “be careful” to you. What are we to be careful of? A road? Rocky pathway? Wild animals? Sometimes, I think this is what our children feel like in these moments. ‘Eeek I know there is something to watch out for but just don’t know what’. By giving children a sweeping ‘be careful’ we increase their stress without actually providing any real support for them to develop the skills for themselves. How stressful! Or perhaps you have noticed children don’t react as they hear the “be careful” cry as they have already heard it 20 times in the last week and on most of those occasions nothing has happened. Of course there are times where the is a high risk safety concern and in these circumstances perhaps a big “Stop!’ is more appropriate but in most other occasions (except when that “be careful” slips it’s out because it still sometimes does) I use the following. 2. By providing children with information about what they are to be careful of, so they can make a decision how to respond (e.g. “the ground is uneven”, “that branch is weak” or “that stick is making me and others feel unsafe”). Option 2 is generally better for older children. By bringing children’s awareness to their environment and supporting them in decision making you will be providing children with a tools and a problem solving model to use for future ‘be careful’ situations. Now, as I close, I know some people are going to say this is political correctness gone mad but this has nothing to do with politics, this has to do with current research about our words and their impact on the way our children see themselves and the world. With awareness and consciousness they are simple changes to make that will provide our children with greater support. Don’t take my word for it, give it a try and I’d love to hear any of your stories.